Olloclip who is well known for manufacturing and all lenses for Apple’s iPhone smartphone, as this week launched a new addition to their range of lenses with the launch of the Olloclip Telephoto lens. The new Olloclip Telephoto lens expands the already existing range of iPhone lenses which includes a fisheye, macro and wide angle lens. 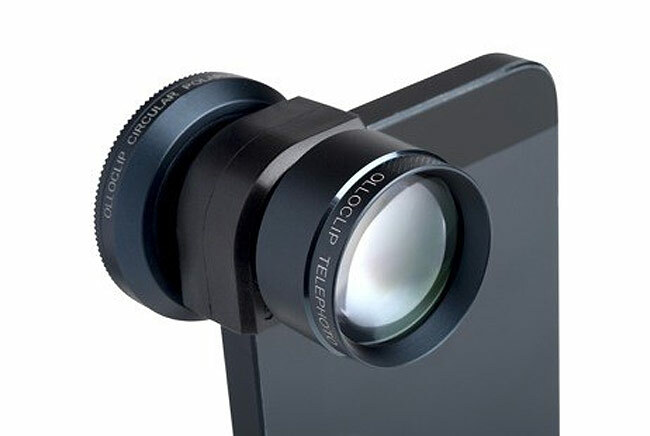 The Olloclip Telephoto lens allows users to add a 2 x telephoto lens to either their iPhone 5 or older iPhone 4 and 4S smartphones and is now available to purchase directly from the website for one cent and under a hundred dollars, priced at $99.99. The latest Olloclip telephoto lens is constructed from high-quality aluminium and uses precision ground glass optics and will be arriving in both the Apple and Best Buy Stores next month.